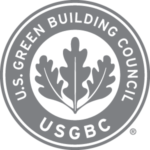 Washington, D.C.–The U.S. Green Building Council’s (USGBC) newest version of the LEED green building program, LEED v4.1, is open for registration for both new construction projects as well as interior spaces with LEED v4.1 BD+C and LEED v4.1 ID+C. According to USGBC, the goal of LEED v4.1 is to make the rating system more accessible to more projects based on lessons learned from LEED v4 project teams. This newest beta version updates performance thresholds and referenced standards to ensure LEED remains the global leadership standard for green buildings and continues to expand the marketplace for LEED. The changes also advocate for improved performance throughout the life of buildings, rewards leaders based on their performance and incorporates performance reporting to enable building owners to track progress towards environmental, social and governance goals. To participate, users can register using LEED Online, review the LEED v4.1 Beta Guide and download the LEED v4.1 rating system. The latest education videos and live online webinars featuring USGBC subject matter experts are also available. USGBC staff are also available to meet in person at any of the 2019 Greenbuild and regional events.